Though coupons are freely available, the percentage of people who use them is abysmally low. More than half of all coupons distributed are never utilized by those who got them. Shoppers who don’t use them are either lazy, lethargic or are simply ignorant about the savings that they can make. To benefit from coupons you don’t always have to buy products for which they are redeemable. Ingenious shoppers even swap them for coupons that they can use gainfully. One of the reasons why shoppers waste their coupons is plain ignorance of the idea behind coupons. A coupon in any guise is plain discount, which means you pay only a lower price than what is marked on the packing. But you may ask why not manufacturers or stores do it straight by showing that on the packing. Facts are, coupons eat away a good part of the profit, and they cannot be given to everyone. Coupons are therefore distributed only for promoting products and in limited numbers to cover only a fraction of sales, and that too only for limited period. Most coupons have their expiry date printed on them. A wasted coupon actually adds to manufacturers’ or stores’ profits. They know well that not everyone will use it and take the benefit. So when you buy a product that has a coupon and you don’t it use for saving money, you are actually subsidizing those who use them smartly. Neither manufacturers nor stores actually absorb the loss. If at all they did in rare cases, they write it off as advertising or promotional expense. Anyways, when they calculate a product’s selling price they take the cost of coupons into consideration. It should now be apparent to you that wasted coupons are profits for businesses. Some of the major expenses in home budgets are groceries, medications and personal care products. Researches show that a typical middle class family can save up to $1,000 a year if they use coupons, though some may contest the figure. However, the fact that they help save money is never disputed. 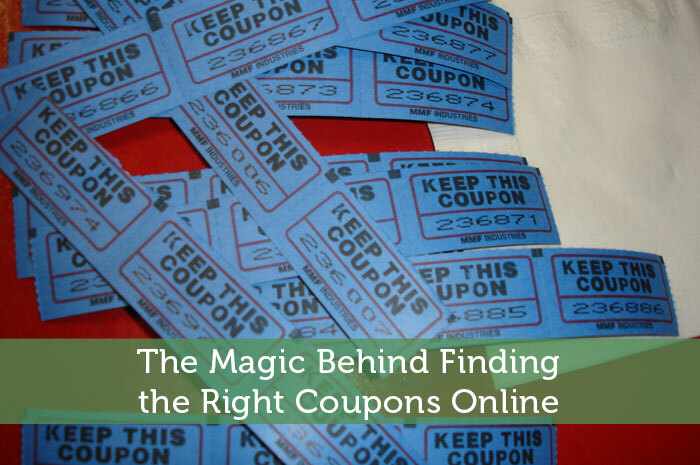 Most people who want to use coupons find it difficult to locate them. The usual places to look for coupons are newspapers (also called clipping), family oriented magazines and store shelves, and sometimes you will also see them in your mail box. If you are fortunate, to receive a relevant coupon, you should consider yourself fortunate and redeem it at your earliest. However, that is not always the case and not everyone get coupons served on a silver platter. Shoppers are increasingly turning toward the internet for getting coupons. There are hundreds of established coupon websites that shoppers are using and saving money. Unlike the unusable coupons that arrive at homes free of cost, you will have to pay to buy coupons from websites. You shouldn’t mind that considering that they cost just a small fraction of the redeemable value. You will see hundreds of coupons listed online, and you can compare one against other and order those coupons that will give you maximum saving. Another advantage of going online for coupons is you can choose your store based on their reputation and standing, which advantage you won’t get in coupons you receive in your mailbox that are redeemable only for specified products in specified locations. When you choose an online coupon, you should also check that the coupon has not expired. You should also read the conditions which are often in fine print. More importantly, you should time your purchases wisely, and combine it with store discounts and promotional discounts allowed for loyal customers. Author Bio: Kathryn Smith, the author of this post is an all-round blogger, who also identifies various distance learning universities to help students choose the right place for a successful career. I have been doing horrible with using coupons. I need to jump back on the bandwagon! Besides searching coupon sites, I keep a spam email account where I sign up for all the stores I might shop for. Then, when I need to make a purchase at one of these stores, I just search that spam email account’s box for recent coupons or deals. Huh, now this is one idea I should probably try out! Am sure you’ve gotten some amazing deals not to mention the time it saves you. I don’t check for grocery coupons but every time I am about to make an online purchase, i google the brand and coupon or discount, very often there is something, but somehow the expired coupons seem to rank higher in the search so you have to look a bit. Good post! It’s really important to know where to look for the right coupons to save time. Using coupons is a great way to save money. Yes, couponing can be time consuming especially when one is starting out gathering great coupon resources. Probably a post I should consider for the near future…thanks! I use coupons as much as possible. The amount of money that you can save is a lot when you match an available coupon with a sale. I totally agree, there are significant savings to be made. The trick thus becomes matching the available coupons with the item you are buying and ensuring you are getting the best deal. I wouldn’t say people don’t use coupons because they are lazy. Couponing takes time and usually more time then a lot of people have. I love using coupons but its because I have time to go out and look for them. I agree Tanya, it takes time, a lot of getting used to and some experience to become good at couponing and reaping the benefits. Despite the time investment, I think its still worth it. I had an issue with online coupons recently at safeway. I first had to create an account. Then link it to my card. Then download their app. Then go online and add the coupon to my card. And at checkout the coupon didn’t actually work. Ack. Perhaps more an issue with safeway than online coupons, but I’ve had these types of problems with other stores. It really just needs to be easier if they want folks to use the online coupons regularly. Thats quite a lenghty process, and for the coupons to fail!? Am right there with you, there should be easier ways of collecting and using coupons more understandable by average Joe and less time consuming. Surfing the websites that offer slashed deals often work well for me, instead of doing broader searches. I wind up tossing a lot of expired coupons. I just can’t eat yogurt fat enough to keep up with all of the yoplait coupons I get! We use them but only on items we need otherwise we’re just wasting money we don’t have to on products we don’t need. Sometimes coupons end up costing more for people who go overboard because they struggle just to let them expire. There are savings though and I agree that many people aren’t using them even though they are practically in our faces. What I like about coupons is they are truly a helpful way to save money and maximize the budget, that’s why my wife tends to collect useful coupons whether online or not. Infact, coupons can save you a bunch! Additionally they tend to encourage bulk buying which in the long run further slashes your budget.